The world of Eliza Doolittle, contemporary illustration of a Covent Garden flower-seller. Illustration by Gustave Dore in "London, a Pilgrimage"
2012 sees the centenary of the world’s most famous play about class, manners and social consciousness. In 1912 Irish playwright George Bernard Shaw completed his new five-act comedy Pygmalion, introducing theatre-goers to Eliza Doolittle, Professor Henry Higgins, Colonel Pickering and the boisterous street life of London’s Covent Garden. The play opened in the West End, at His Majesty’s Theatre Haymarket, on 11 April 1914. It rapidly became a theatrical tour de force. Audiences were delighted. Performances sold out. Rave reviews poured in. Pygmalion has been imitated ever since, most memorably by the 1956 Broadway musical My Fair Lady and 1964 Hollywood film, starring Audrey Hepburn and Rex Harrison. Yet the play is rooted firmly in actual events in Victorian Westminster. 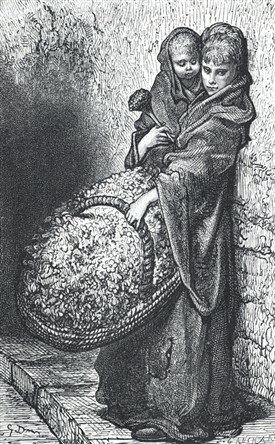 Shaw's leading lady, Eliza, was a character partly inspired by a child prostitution scandal in Lisson Grove and the West End which became a press cause celebre in 1885. Today, Pygmalion appears a pleasant confection. But it draws deeply from London’s darker 19th century social realities. Pygmalion was a theatrical success in London right from its first release. The idea had first been mentioned by Shaw in a letter to the actress Ellen Terry, dated 8 September 1897. Promoted as a gentle comedy, the play was also a satire on class, manners and social mobility. The plot devices were familiar and derived from Greek and Roman mythology. Shaw recast Ovid’s tale of Pygmalion, the sculptor from ancient Cyprus who falls in love with his ivory statue of sea-nymph Galatea. The Goddess Aphrodite grants his wish to bring her to life. Professor Higgins was Shaw’s Pygmalion, Eliza Doolittle his Galatea. In Act One cockney flower-seller Eliza encounters phonetics expert Professor Henry Higgins outside St Paul’s Church in muddy Covent Garden piazza. Seeking to improve her lot, she asks him for elocution lessons. Frivolously, Higgins proposes a social experiment. He bets his friend Colonel Pickering he can transform Eliza’s speech, manners, dress and ideas. In six months she will pass as a duchess. Higgins succeeds. Eliza is transformed to elegance. But, to Higgins' frustration, plucky Eliza won’t be manipulated by him and she steals the show. 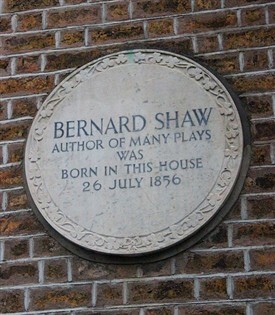 Pygmalion was not only a West End hit but also lampooned what Shaw considered were outmoded societal values in Britain. Amidst the gales of laughter Shaw’s radical left-liberal message was unmistakeable. The old certainties of class-based social order were on the way out. Eliza’s newly-acquired, cut-glass pronunciation is only a superficial mark of sophistication. Innate goodness, determination and strength of character are the true benchmarks of gentility. For Shaw, issues of class, working conditions and the position in women in society must be addressed when industrial workers were striking and Suffragettes were on the march. Pygmalion was inspired by Shaw’s long experience of class-bound, gas-lit, late-Victorian London. Arriving from Dublin in 1876, he established himself as a prolific left-wing social commentator, journalist, music critic, writer and playwright. Keen to promote the socialist causes close to his heart - as well as his own celebrity – Shaw’s work tapped directly into increasing popular awareness of social inequality in Britain during the 1870s and 1880s. Late Victorian Britain was characterised by swirling economic and social cross-currents. The 1870s and 1880s – like 2012 - were gripped by economic uncertainty. From the mid-1870s to the mid-1890s Britain entered the so-called ‘Great Depression’, a period of low export growth, a fall in wholesale prices, average unemployment of over 10%, increasing imports, a shrinking agricultural sector and rising competitiveness from the United States and Germany. The Great Depression placed assumptions of British economic supremacy under severe pressure. 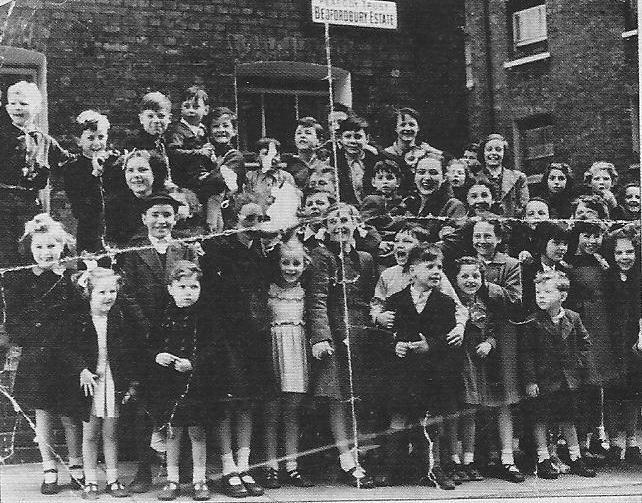 Then - as now – British governments fretted over the likely trajectory of future prosperity. Economic anxiety was coupled with a nagging national sense that something had to be done about inequality in society. Britain’s Industrial Revolution – which had laid the basis for her swift rise as a global Great Power and made vast individual family fortunes – had also bred unspeakably harsh working conditions for the nation’s labouring poor. Government attempts to alleviate them included the passage of Factory Acts in 1833 and 1844. But the works of novelist Charles Dickens from the 1830s to 1860s and writers such as Henry Mayhew in London Labour and the London Poor (1851) pointed to abject lives, endured at the heart of the world's richest Empire. Responding to this crisis, a group of extraordinary Victorian social reformers devoted themselves to the public good. Foremost among them were pioneering Christian philanthropists such as Elizabeth Fry (prison reform), Lord Shaftesbury (children’s working hours) and Dr Thomas Barnardo (Ragged Schools and children’s homes). Others included Octavia Hill (social housing reform and sponsor of The National Trust), George Peabody (social housing), William Morris and John Ruskin (artists), Seebohm Rowntree (poverty studies), Angela Burdett-Coutts (founder of the NSPCC in 1883 and passionate advocate of women’s philanthropy) and Charles Booth (urban poverty mapping from 1886). In 1878 William Booth founded the Salvation Army and in 1890 shocked society with his book Darkest England and the Way Out in which he calculated that 3 million of Britain’s population of 30 million - a ‘submerged tenth’ - lived in the direst poverty imaginable. The charitable efforts of the great philanthropists were accompanied by radical initiatives by the Disraeli and Gladstone administrations in the 1870s and 1880s. Both prime ministers enacted badly-needed social, health and workplace reforms. Prominent among these were Disraeli’s Artisans' Dwelling Act (1875), Public Health Act (1875), Sale of Food and Drugs Act (1875), Friendly Societies Act (1875) and further Factory Acts (1874, 1878). In turn, Gladstone famously championed the cause of ‘fallen women’ (prostitutes) in Westminster and saw social reform at home as akin to missionary work. The philanthropic and government response to rising inequality also went hand in hand with the rise of socialism, trade unionism and industrial militancy as forces in late 19th century British politics. New political groups such as the Fabian Society (1883), the Social Democratic Federation (1884), the Independent Labour Party (1893) and the Labour Representation Committee (LRC) (formed in 1900, led by Keir Hardie and renamed the Labour Party in 1906) all became increasingly powerful forces in British society and followed an unprecedented wave of industrial action during the 1870s and 1880s. The Gas Stokers’ Strike of 1872, the Match Girl Strike of 1888 (many young match girls at Bryant & May factories suffered from ‘phossy jaw’ – phosphorous poisoning – at work) and the Dockers’ Strike of 1889 (for the daily pay rate of 6 pence per hour) were key turning points in British industrial relations, after which employers were forced to improve pay and working conditions. There were other major societal changes. Like the rise of the internet in the 1990s and online social media from the early 2000s, mid-Victorian Britain witnessed an explosion of news outlets. The national media environment was evolving out of all recognition. In 1855 newspaper tax duty was abolished by Lord Palmerston's first Liberal administration, enabling the rise of the so-called 'penny press' (newspapers priced at one penny). By 1870 London alone had seven morning and five evening newspapers. It was an exciting new world of rising literacy – stimulated by the widened-access provisions of the 1870,1876 and 1880 Education Acts – campaigning social comment and the birth in the 1880s of ‘New Journalism’, robust investigative reporting uncovering the inequities of the age. 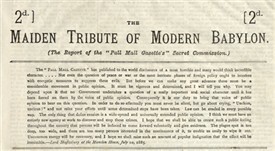 Newspapers such as The Pall Mall Gazette – for which Shaw wrote - sounded clarion calls to redress the position of the exploited and vulnerable in British society. Under the mercurial editorship of WT Stead from 1883 to 1889, The Pall Mall Gazette demanded change, pounding the late Victorian breakfast table. Stead, a revolutionary force in the history of British newspapers, pioneered the use of new American-style investigative journalistic techniques: door-stepping reporters, undercover specials, celebrity interviews and brash page layout. Then - as now – such press freedom innovations were valued and reviled in equal measure. In strident prose Stead sought to bring his own social progressivism to the largest audience possible. It was a frothing milieu in which Shaw was also a vocal participant and from which he would draw inspiration for Pygmalion. Indeed, Shaw partly based his character Eliza Doolittle on an actual child trafficking victim, whose case had shocked London in 1885. Shaw was freelancing for The Pall Mall Gazette when WT Stead ran a series of articles on so-called ‘White Slavery’ in London entitled: The Maiden Tribute of Modern Babylon (6-10 July 1885). 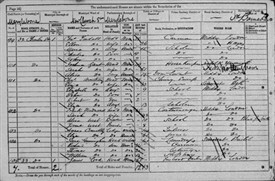 In 1885, scandalised by the existence of organised child prostitution in London, Stead went undercover in Charles Street (today’s Ranston Street), Lisson Grove, Westminster. He purchased a 13 year-old virgin, Eliza Armstrong, from her mother for £5 (Shaw may have been alluding to this exchange in Pygmalion with Henry Higgins’ wager over Eliza Doolittle). He then contrived to meet the child in a West End brothel before handing her over to the care of the Salvation Army. When Stead revealed the sordid details in the Gazette he was arrested for procurement and imprisoned for three months. The Armstrong case caused a popular sensation. Copies of the Gazette's 'Maiden Tribute' editions ran low, sold out and then passed hands for many times the purchase price. On his release Stead was feted as a hero. His expose was publicised widely and became a popular tale of redemption. His reports directly informed the Salisbury government’s response. The Criminal Law Amendment Act (1885) raised the age of consent from 13 to 16. A Home for Fallen Women and model cottages were opened in Ranston Street in 1895 by the reformer Octavia Hill. It is more than likely that Shaw drew on personal memories of the Maiden Tribute affair whilst penning Pygmalion during 1912. One hundred years on Pygmalion casts its spell undiminished. Shaw’s transformation satire continues to shine a spotlight onto changing British attitudes to class, personal freedom and the position of women in society, as the cataclysm of the Great War loomed. This page was added by Ronan Thomas on 08/11/2012.